Microsoft has revealed the newest iteration of the augmented reality visor headset, Hololens. The new Hololens has some major additions and improvements to the concept and is aimed squarely at businesses for right now. The interface now eschews the swipe-based buttons of the original in favor of direct manipulation of objects. The headset itself is now simpler to put on and doesn't require the Steampunk-style knobs and dials for a good fit as the previous version did. 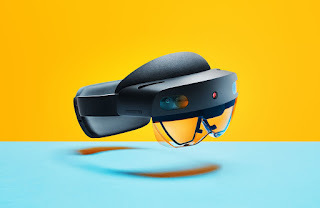 All these improvements come with a hefty price tag as the Hololens 2 will cost about $3500, thus mainly being targeted toward businesses. Microsoft announced Unreal Engine 4 support for Hololens software, which does not necessarily mean the headset will be used for games, but it does make any potential game development a possibly. Businesses will be able to grab a Hololens 2 later this year.